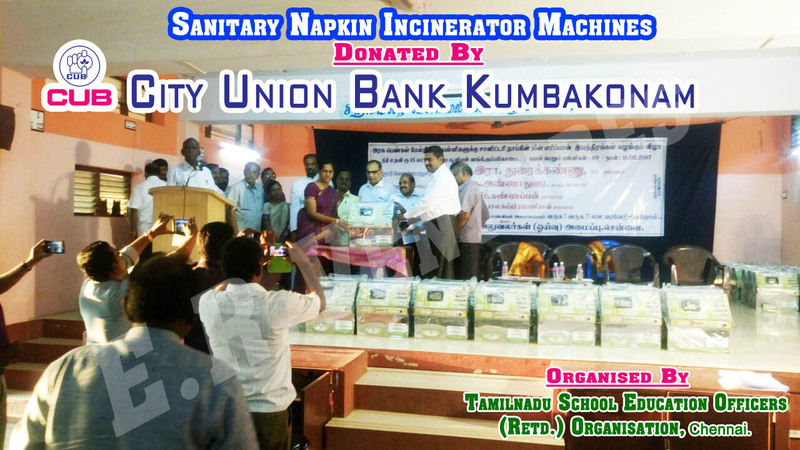 All over the world, the disposal of the used Sanitary Napkins has been a very common problem. Especially in India the used napkins are thrown to bathroom dustbins as it leads to embarrassing visuals and smells and the used napkins are Flushed into the Drain. 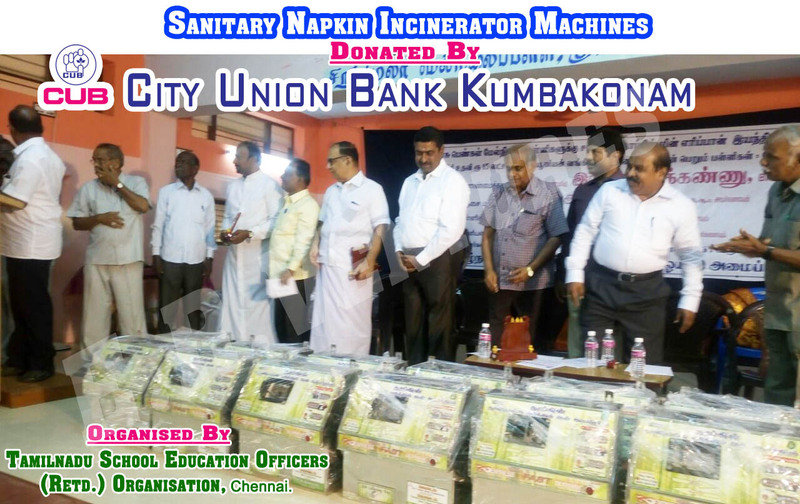 Both the above methods of disposing Sanitary Napkins create problems. The Flushing in Drain results Clogging in Drain. The Drainage Line Chock-ups or Plumbing Line Blocking Problems occurs and throwing in Dustbins results Health related Problems due to hazardous contents in the used Sanitary napkins. Keeping in mind we are keen to manufacture the machinery that is used to protect the environment. 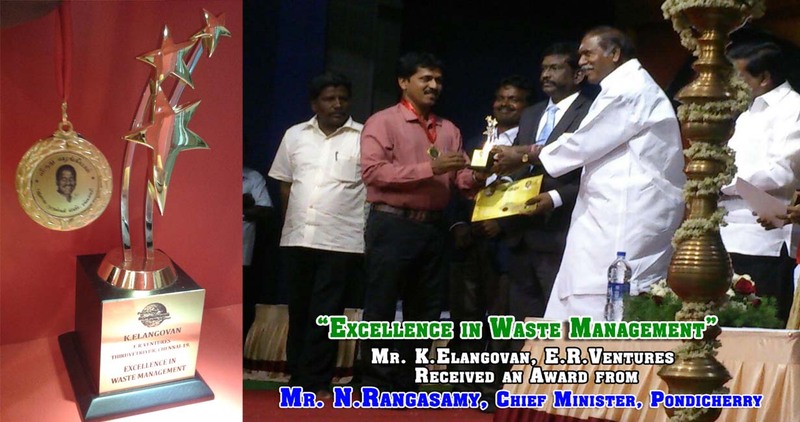 Our Sanitary Napkin Incinerators are used to resolve this problem. Our napkin destroyers are very useful to destroy napkin waste in a very scientific and hygienic way. 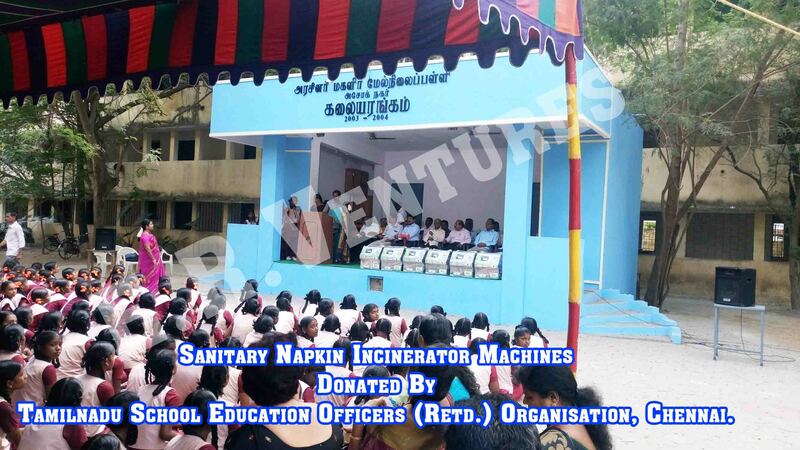 It is the best solution for sanitary napkin disposing needs here the used napkins is converted into a sterile ash. 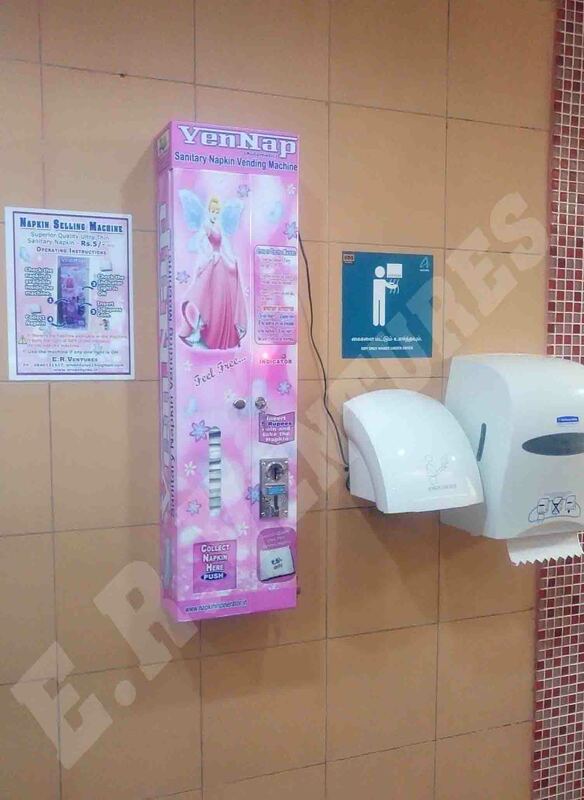 It helps to destroy used napkins in a scientific and hygienic way so, it is very suitable for all ladies toilets to get an pollution free hygienic environment. 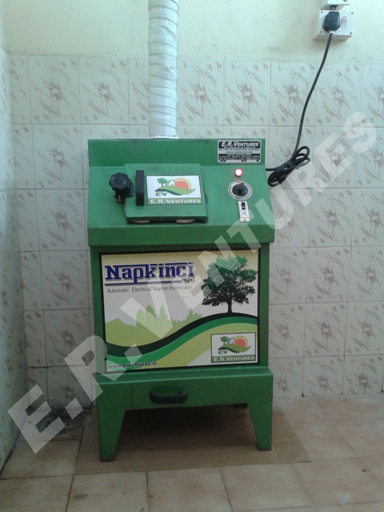 Sanitary Napkin Incinerator – NAPKINCI Micro Nap is the smallest sanitary pad incinerator in India. 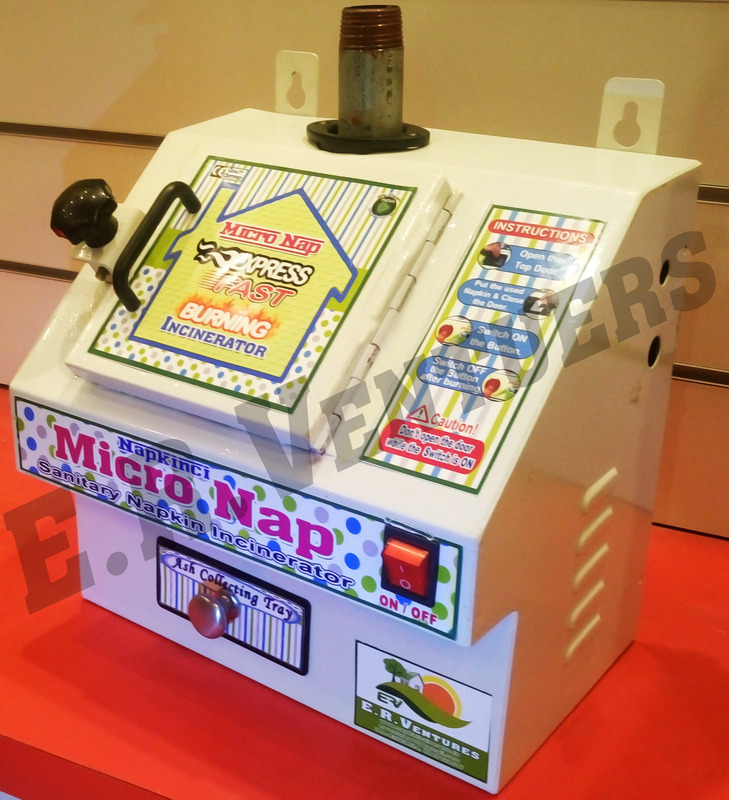 It is an Sanitary napkin destroyer manufactured with a high rate of reliability proven through performance. 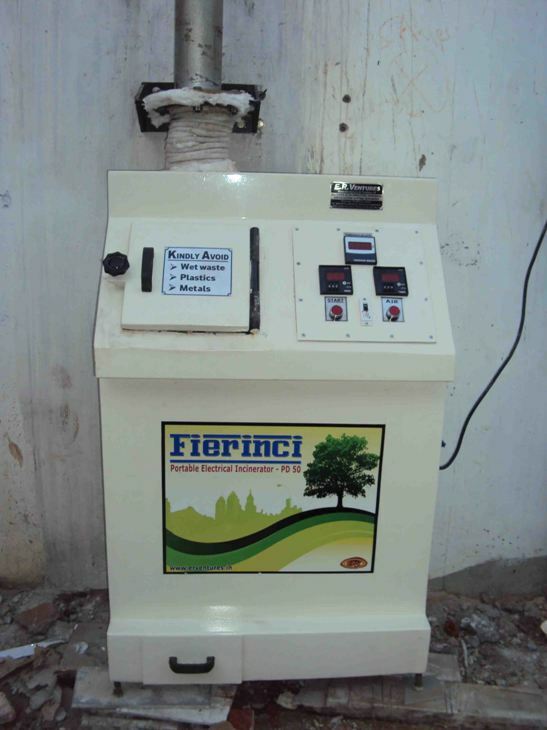 It is the best solution for sanitary napkin disposing needs wherein the used napkins are converted into a sterile ash. 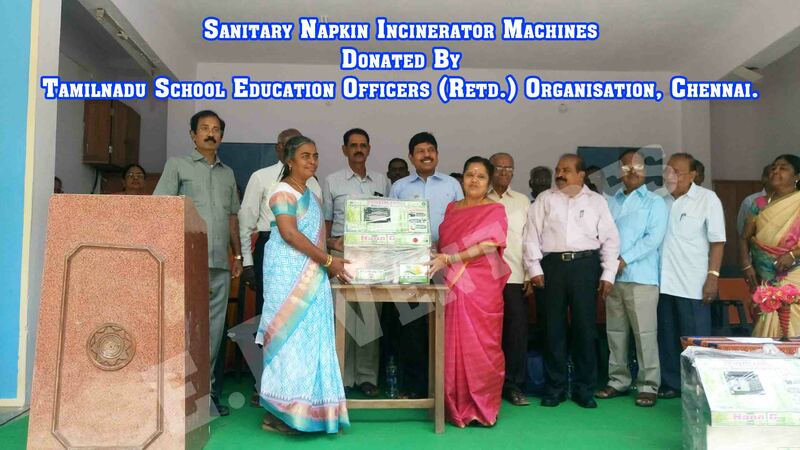 It helps to instant disposal of a used napkins in a very Scientific and Hygienic Way, so it is very useful for all ladies toilets to get an pollution free hygienic environment. Top opening Door for easy operation. Easy and convenient to install inside the toilet. Portable and Wall Mountable. The outside is built with Mild Steel with Powder Coaing. Approximately 7 minutes for 5 Napkins. the fumes developed during the incineration. installation for the convenient use in the Toilets. 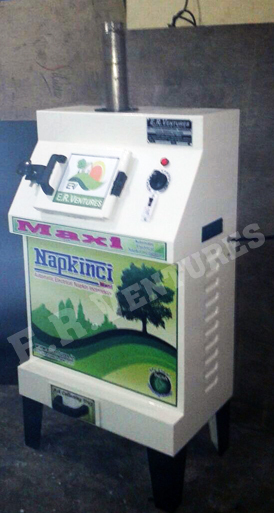 Napkinci Nano G is the smallest Sanitary Napkin Incinerator in India. 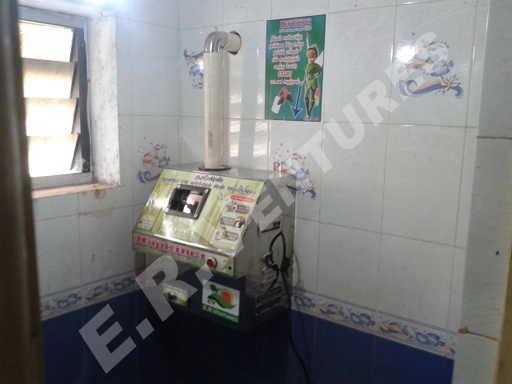 ERV Sanitary Napkin Incinerator is an Automatic Sanitary Napkin Destroyer manufactured with a high rate of reliability proven through performance. 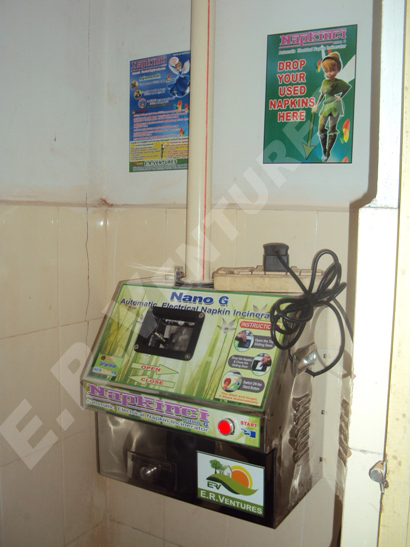 It is the best solution for sanitary napkin disposing needs wherein the used napkins are converted into a sterile ash. It helps to instant disposal of a used napkins in a very Scientific and Hygienic Way. 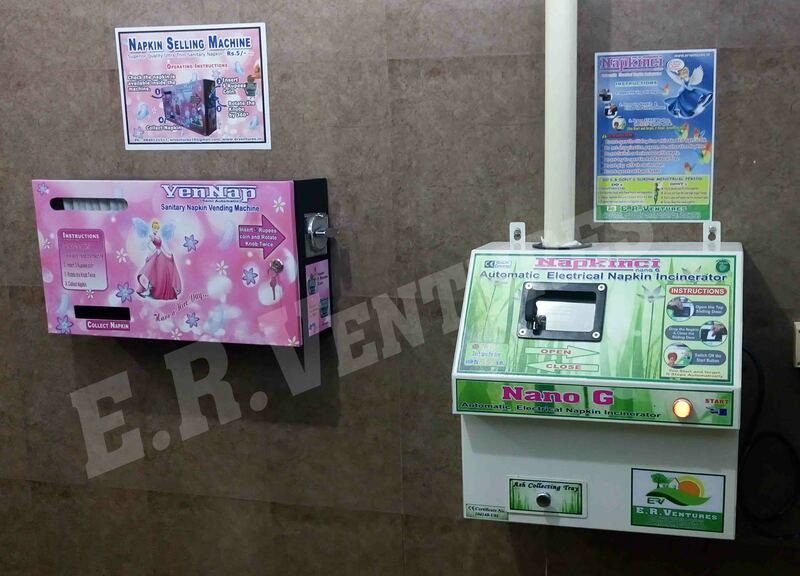 Our Sanitary Napkin Vending Machine-VenNap is used for vending Sanitary Napkins by inserting a Coin. 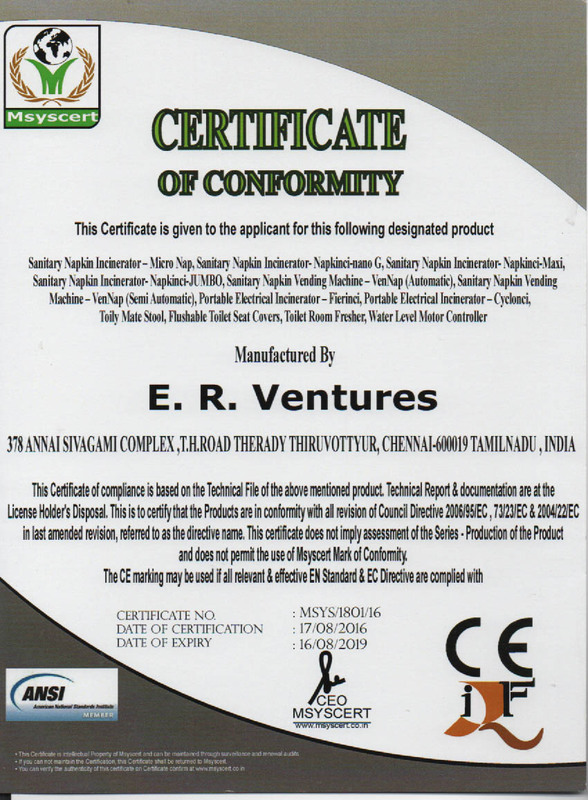 VenNap is highly used for immediate access of napkins to meet the menstrual emergencies. Our machines are manufactured to international standards with the finest materials and proven through performance. 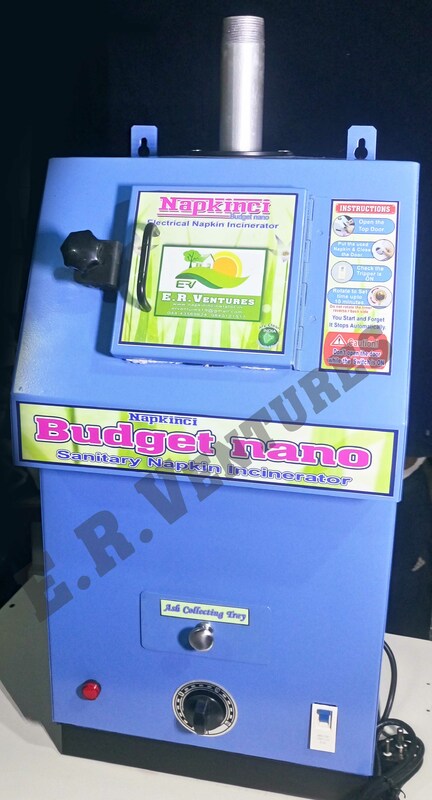 It is used in many leading schools, colleges, institutions, organizations, public ladies toilets, hospitals, hotels, resorts, theaters, malls, bus & railway stations, airports..
Sanitary Napkin Incinerator – NAPKINCI Maxi is used to instant disposal of a used napkins in a very scientific and hygienic way. 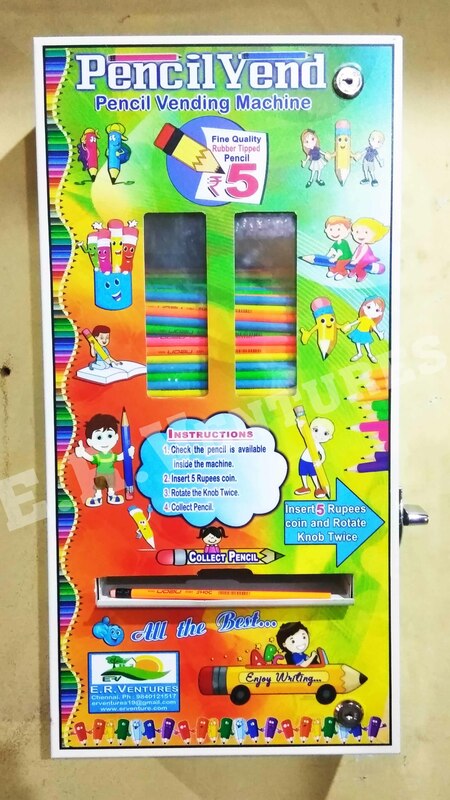 It is Specially designed to destroy upto 20 napkins at a time. Our portable Electrical incinerators are very useful for Schools, Houses, Apartments, Small Offices, theaters and all locations where low waste is occurred.Portable Electrical Incinerator is available from 5 Kg to 50 Kg. It is very compact and easy to operate.